* additional 10% discount for friends or family registering together! 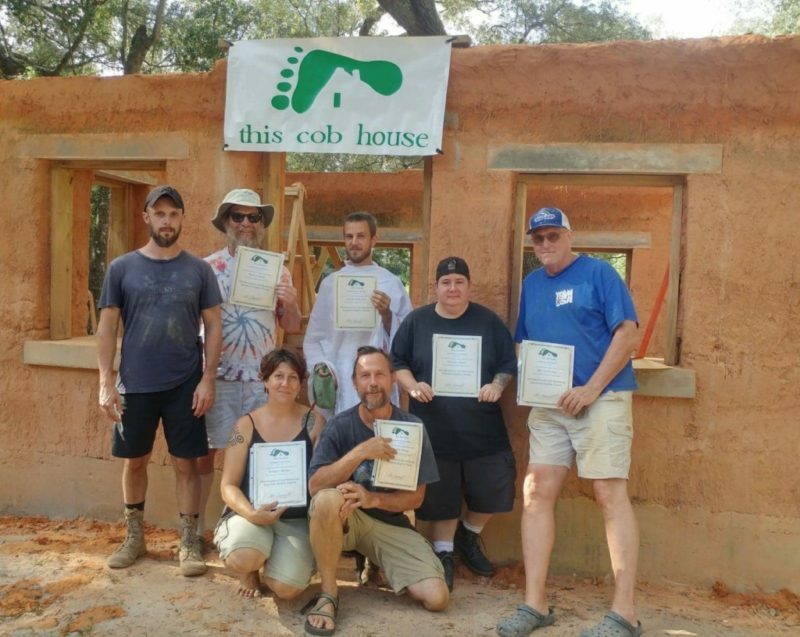 When you leave this workshop, you will have the skills necessary to build your own natural home! We will be doing hands-on building mostly all day, every day. Techniques and concepts that are not covered in our hands-on work (permitting, utilities, etc…) will become our discussion topics. Some design decisions will be made as a group during the course, opening up all sorts of design discourse. 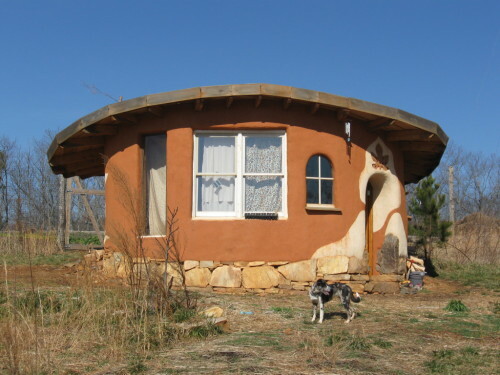 In this specific course, we will be constructing an addition onto our strawbale home here on the property. The home was built from 2013-2015, as time allowed. It is permitted, and about 90% of the walls are insulated with straw. 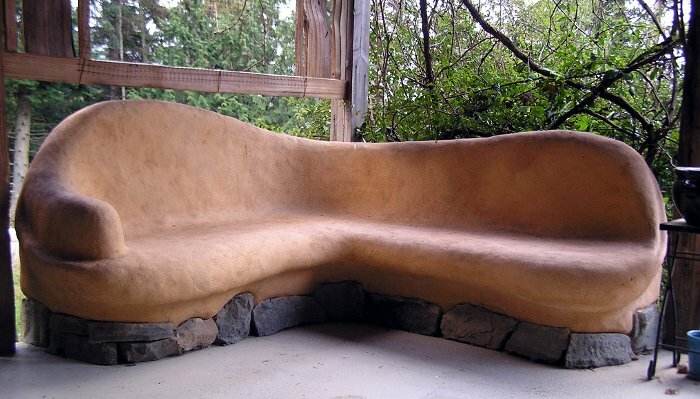 It includes cob stairs, cob benches, earthen floors, and natural plasters throughout. Our family will be expanding from 3 to 4 people this December, and we would like to add a room that will function as a play space and sitting space, and also as a future area for home-schooling activities. A unique experiment with the design of this addition is to use strawbales for the roof insulation as well. I have never tried this, but expect it to work well. We will be doing some framing with roundwood from our forest (i.e. big logs that we harvest, shave bark off, and notch for tight installation). The roof will have a rubber membrane on top, and a rooftop sitting area that can be accessed from the second story of our home. Foundation work is not something to rush in a workshop setting, so I will have the foundation prepared before we begin. However, we will dedicate time to a foundation discussion, and will experiment with hands-on stone-laying somewhere else on the property. There will probably not be hands-on experience with wiring, but I will be wiring the room at some point during the week, and everyone will be welcome to watch and ask questions. Day 5: start applying cob on our “balecob” wall, roof decking, HOME TOUR! The workshop fee includes three meals a day, camp sites on the property, hot showers/toilets, and a really great home tour! We will have campfires as much as possible, and enjoy unscheduled evenings. FOOD – We have a history of providing very delicious and wholesome food. Most of the produce is organically-grown and from within 10 miles. Most meals are vegetarian, with an occasional meat option. Within reason, we are happy to accommodate all dietary restrictions. SLEEPING – There are some camp sites in the woods, and some by the pond. There are a couple that are big enough for really large tents. 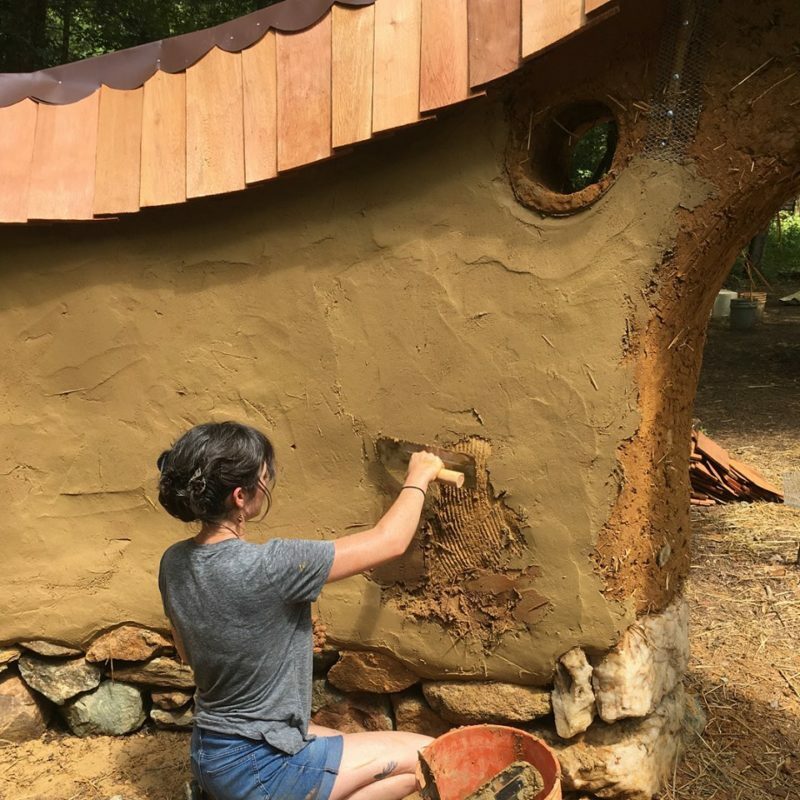 Alternatively, there is an almost-finished cob building available for staying in. It can accommodate 2 adults easily, and the cost is $80 for all 8 nights (the fee goes towards finishing materials for this building, and the other bunk-house). The bunk house is less finished, but is available to sleep in for $40 for the 8 nights. There are a couple other roofed spaces that can accommodate sleep, but are not closed off from bugs- these are free of charge. SHOWERS/TOILET – We have a shower building with hot showers available – there is also a great swimming pond. We have two locations with composting toilets. HOME TOUR – Mid-week, we will tour several local, natural homes. Expect to see at least three, and have plenty of time at each with the owner/builders; lots of questions are asked and answered.